"Let go of anxiety, stress and resistance and get back in the zone in your biz and life. Let go of the past and tap into your vision. Find out how tapping can change your life and you can shine and follow your dreams. Tapping provides relief from chronic pain, emotional problems, disorders, addictions, phobias, post-traumatic stress disorder, and physical diseases. While Tapping is newly set to revolutionize the field of health and wellness, the healing concepts that it’s based upon have been in practice in Eastern medicine for over 5,000 years. 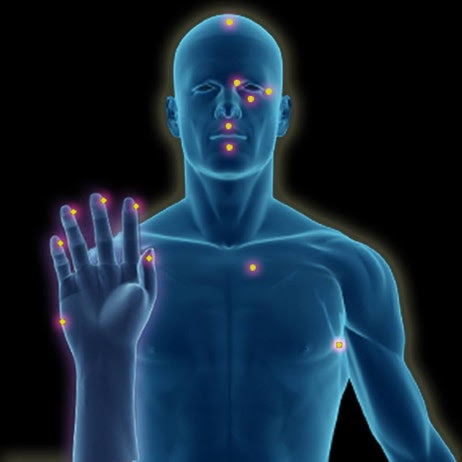 Like acupuncture and acupressure, Tapping is a set of techniques which utilize the body’s energy meridian points. You ca n stimulate these meridian points by tapping on them with your fingertips – literally tapping into your body’s own energy and healing power. We will spend the afternoon tapping away blocks to new beginnings, setting intentions and visualizing. This will be a powerful way to get focused, release blocks and tap into magic in your biz and life. " Kate Winch has been supporting her clients follow their dreams for over 20 years. She loves helping bring balance, harmony and general well-being to her client’s lives. *Their will be no acupuncture on April 29th . Claudia will be on vacation.